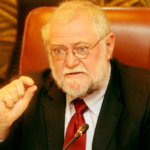 ON the eve of the presentation of the annual State of the Nation Address (SONA) by President Hage Geingob, the Minister of Finance, Calle Schlettwein, addressed the National Assembly and answered burning questions about the state of the Namibian economy. 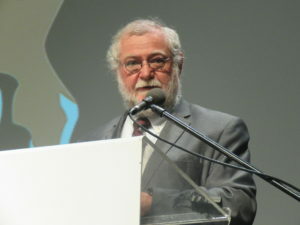 Tabling the national budget, Schlettwein answered questions posed by opposition party members about economic growth outlook, alignment with National Development Plans, fiscal consolidation and debt dynamics, public enterprises and wage bill reforms, private sector development and support to Small and Medium Enterprises and proposed alternative intervention measures. He said the national economy has over the past financial year moved out of contraction and into the area of growth due to budgetary measures taken since 2017, as well as the sluggish improvement of the world economy. The finance minister also appealed for support from his fellow cabinet members when the Budget Appropriation Bill is tabled. Relevant questions and proposals made on the FY2019/20 Appropriation Bill and the budgetary policy framework are set forth in Medium Term Expenditure Framework and Fiscal Strategy. I am grateful for the considerations put forward and the broad support for the Appropriation Bill. The budget formulation and review continue to benefit from the insights by the legislature as we seek to enhance the budget efficiency as a national priority. Let me take this opportunity to thank the Honourable Members and the Political Parties who took the floor to contribute to the debate and make proposals. In particular, I thank the Deputy Prime Minister and Minister of International Relations and Cooperation, Honourable Netumbo Nandi Ndaitwah and all the Honourable Colleagues from the SWAPO Party for their contributions and support. I thank the Leader of Official Opposition Party, Hon. Mc Henry Venaani as well as other members of his Party, Hon. Vipuakuje Muharukua and Hon. Nico Smit for their contributions. My appreciation is also extended to Members from other opposition parties; namely Hon. Mike Kavekotora (RDP), Hon. Tangeni Iijambo (SWANU), Hon. Asser Mbai (NUDO), Hon. Jan Van Wyk (UPM), Hon. Hon. Clara //Gowases (RP) and Honourable R. Nauyoma (APP) for raising pertinent issues and supporting the Bill. I will now wish to respond to questions and comments raised by Honourable Members during the Second Reading of the 2019/2020 Appropriation Bill. I will address the matters raised within the thematic areas under which specific questions and contributions were made. These are in regard to the economy, budget alignment to National Development Plans, fiscal consolidation measures, Public Enterprises and government wage bill reforms, private sector development and investment promotion. I shall further touch on matters related to Public Procurement and Public, Private Partnerships and as other related proposals which were put forward. My Cabinet colleagues will provide more details at Committee stage on the sector-specific programmes under their Votes, including their performance outcomes most of which are detailed in the Government Accountability Report for FY2017/18. Leaders of the opposition raised issues centred around economic growth baseline outlook as a basis for the policy interventions contained in this budget. Following the tabling of the budget, the Preliminary National Accounts for 2018 were released. The outturn suggests a softer contraction of the domestic economy at 0.1 percent as against the estimated contraction of 0.5 percent estimated in the budget. This outturn on the economic activity indicates that the recession had peaked at 0.9 percent in 2017 and the economy is easing out of the contraction into growth territory. The pace of domestic economic recovery is also impacted by regional and global developments, given that economic, financial and trade are interconnected. It is these dynamics that dictate the medium term economic projections of any economy. In fact, our projections are close to those of other institutions such as Bank of Namibia and the IMF. In the first five months of 2019, the global economic activity reduced to 3.3 percent by the International Monetary Fund this month, from 3.7 percent projected in October 2018. The economic growth outlook for our largest neighbouring trading partners of South Africa and Angola remain tight. The downside risks to growth, particularly those arising from the Sino-US trade spat have emerged much faster in speed and impact on growth and adversely affecting financial market sentiments. At the same time, the adverse effects of climate change have affected a number of economies including Namibia. These are prevailing factors which we must contend with, without loss of generality. As I stated in the budget Statement, the pace and scale of the recovery is predicated on the timeliness of the pro-growth measures announced in the budget. I concur with the Honourable Members who urged for speedy implementation and I call on Offices/Ministries and Agencies to scale-up the implementation capacity and momentum. In addition the 2018 National Labour Force Survey results point to elevated needs to address youth unemployment which is estimated to have increased from 43 percent in 2016 to 46 percent by 2018, while the net effect on the overall unemployment rate is assessed to be generally neutral. The budget before us seeks to strengthen macroeconomic stability, regain economic growth with jobs and fiscal sustainability. The interventions to support broad-based economic growth and youth employment and self-employment are of priority considerations in this budget. Honourable Speaker, the structural challenges of poverty and inequalities and what they can lead to, be man-made, as some Honourable Members have postulated have emerged. This is because the extent of their manifestations is a direct result of the political economy of our country’s historic policies of the old order. However, it cannot be denied that we have made meaningful progress in addressing these challenges. We have reduced inequalities from high rates of 0.71 Gini Coefficient ratio to the current estimated 0.56 percent. Absolute poverty has also been reduced from levels above 40 percent to about 17.4 percent by 2016, with extreme poverty falling from about 30 percent of the population to 10.7 percent in recent years. Certainly, these are high rates relative to national income levels and further targeted efforts are needed to address these structural challenges through inclusive economic growth and targeted programmes. Observations were made about realignment of the budget to National Development Plans. In this respect, I wish to state that the national budget is an instrument of fiscal policy and a key tool for contributing to the achievement of national development objectives. Of interest, therefore, is how the budget advances the national development objectives. First, the National Development Plans benchmarks are set within a dynamic environment and are affected by short to medium-term developments nationally and globally. We have recalibrated the fiscal policy on a sustainable path, which is a fundamental condition to advance the targets and objectives set out in the national development plans. I should indicate that all programmes that are proposed for funding under this Budget are directly linked to the aspirations of the Vision 2030, NDPV and Harambee Prosperity Plan and specific evidence can be provided during the Committee stages. questions were raised with regard to the link between economic growth and public debt dynamics. The relationship between growth and government debt is central to fiscal policy. The budget Statement talks at length about this subject and has established the medium-term policy stance to achieve economic growth and stabilizing the increase in public debt stock. I therefore call upon all Honourable Members to familiarise themselves with the content of the Fiscal Strategy. I should indicate that our fiscal policy remains flexible and growth friendly and it strikes the right cord between debt sustainability and supporting demand. Therefore, the high economic growth which we achieved between 2010 and 2015 was mostly funded through debt capital, resulting in an economic boom in some sectors of the economy due public investment point of view. At the end of the boom period and the onset of a perfect storm, government debt increased due to a sharp decline in output and public revenue and a reduction in public expenditure which had to be done and resulted in severe pain in the domestic economy. Discernible progress is made in the deceleration of growth in government debt since we collectively adopted the targeted fiscal consolidation program in 2016. As such, the increase in government debt over the FY2018/19 stood at 17 percent year-on-year, compared to the average increase of 32.4 percent between 2013/14 and 2016/17. Over the FY2019/20 – 2021/22 MTEF, the growth in debt is projected at an average of 9 percent, thanks to debt stabilization policy measures. This budget continues on this policy framework, underscoring the Government’s intentions to stabilize the growth in government debt and reduce debt over the medium to long term. Notably specific clarification as to why government debt is still rising is explicitly set out in the medium-term fiscal policy stance. As much as the budget deficit could not be significantly reduced in the short-term and a positive primary budget balance achieved faster, public debt would tend to rise. The FY2016/17 Budget Review and Medium Term Policy Statement sets out a fiscal stance that brings about faster closing of the budget deficit and debt stabilization. The steeper consolidation generated unintended consequences on economic growth and expenditure over commitments and accumulation of spending arrears. Hence the recalibration of the policy frameworks which further balances between growth and fiscal sustainability. we aim to achieve a positive primary balance by FY2021/22, which is a necessary condition for not only stabilizing growth in debt, but also reducing the proportion of debt to income. The decline in the Budget deficit reaffirms government’s commitment towards the implementation of the fiscal consolidation policy. The performance indicators of the budget is always provided in the Mid-Year Budget Review. Comments and proposals were also made on the Public Enterprises and the wage bill reforms. a principle stance is also put forth to have a uniform approach to remuneration increases across the public sector during the fiscal adjustment phase for which the Ministry of Public Enterprises will issue a directive. Reforms on the civil service wage bill have been instituted and produced results as far as containing net growth in the size of the civil service without compromising service delivery in key sectors such as education and health. In my response to questions raised during discussions of the 2018/2019 Budget, I indicated that the Right Honourable Prime Minister issued policy measures and procedures to be implemented by Government to control personnel and other expenditures in the public service of Namibia. These measures and procedures are not only aimed at addressing the wage bill but also to enhance efficiency in the management and use of public resources. The specific measures being implemented include, among others freezing the creation of new positions in government, abolishment of all positions that remain vacant for more than 6 months, introduction of compensatory reduction of vacant positions and approval by the Secretary to Cabinet, the filling of vacant positions. The policy intention is to reduce the wage bill as a proportion of GDP from the current 15.5 percent to about 12.5 percent over the medium to long-term. Concerns on spending efficiency and the quality of outcomes remain important areas of policy action in these sectors. A public expenditure review in the health sector is due for completion in the coming months in collaboration with the World Bank and also assessing the cost considerations of a universal health care. Let me also respond to matters raised with regard to the private sector participation and SME developments. The flow of private sector investment is necessary for new pattern of sustainable growth going forward. Three years ago, the Government has reduced the corporate income tax rate for non-mining companies from 34 percent to the current rate of 32 percent. I concur that we need to implement the necessary tax administration measures to ensure that the tax system is equitable in terms of coverage and fairness as well as our ability to deal with new emerging financial issues. One of the recent investment which have befitted the domestic economy as a result of investment promotion efforts is the Peugeot Car Assembly Plant in Walvis Bay. We have established a consultative platform to address the needs of the private sector and assessing measures to address concerns raised on the policy and administrative frameworks impacting on the ease of doing business and business confidence. It is on this basis that some of the proposed tax policy amendments have been reversed. With regard to the financing instruments to support SMEs, we are now progressing to implementation stage, with the training and mentorship program being frontloaded. An allocation provision for commencement of this program is provided for in this budget. I am grateful for some of the considerations to better target budgetary interventions. Most of the proposals put forward lie in the areas already contained the budget. For instance, the scaled up interventions in the agricultural and water sectors aim to improve domestic productive capacity, water security and enable opportunities for value addition and agro-processing by the private sector. The developmental opportunities presented by the public procurement law must be greatly enabled and implemented. To this effect, I have issued exclusive bidding directives to designated products north of the Cordon fence as regulations for the economy at large are being finalized. Public, Private Partnership offers opportunities for crowding in private sector participation. In specific cases where national security considerations and fiscal risks loom large, direct project financing will be undertaken, together with quality assurance arrangements, to ensure value for money. This may be the case with the envisaged revamping of the Hosea Kutako International Airport. With regards to Medical aid Scheme contribution, I wish to point out that contribution by Members has remained unchanged at N$60 during the period from independence to 2012/2013. The first changes to the scheme was the introduction of the two options, namely the standard option at N$120 and high option at N$240 during 2013 for main members. It is important to note that this scheme which is voluntary is extremely generous when the benefits are compared to the actual cost to the scheme leading to a significantly subsidised health care scheme for the public service. The wage bill has more than doubled from N$13.925bn during 2012/13 to the current N$29.193bn. It is important to note that this increase is largely driven by the re-grading exercise implemented during the year 2013/2014 and subsequent to that, salary increases granted to the public service employees. At no point during these periods was there a contribution increase by the employees to the medical aid, however the employer’s contribution has increased to meet the actual costs of the scheme. This is non-increase is not withstanding the annual increases in medical costs which have been above inflation. Leaving the scheme unchanged will lead to the scheme becoming unsustainable. Finally, on the proposal for the establishment of the Delivery Unit, I have the following answer: this is not a new phenomenon. The Blair Government in the UK tried to resolve the problem of the way we account for national income is biased in favour of private over public provision of services. In 2001, Blair established a high-level ‘Delivery Unit’ mandated to take the lead in directly measuring public service efficiency. This would be done through setting targets for all activities across the public service. Public services would be benchmarked and civil servants help accountable for the delivery of the targets for these services. The initiative recognised that the Government could not measure the public service provision well, and that simply pouting more money into health and education for example could be a waste of money with no measurable outcomes. Therefore, the Unit developed a wide range of measurable outcomes for example: for how long you have to wait for a hip-replacement; percentage of pupils passing exams; percentage of training arriving on time. The ‘Delivery Unit’ was not the ‘silver bullet’ that solved the problems of effective and timely delivery of quality public services. However, as with all statistical based models they can be manipulated to suit the desired outcome. This ‘gaming’ of the measurable outcomes led to for example, hospitals treating minor heart surgery cases faster than more serious procedures thereby, inflating the number of procedures and meeting the targets. In conclusion, Honourable Speaker, these have been the main aspects arising from the Second reading of the Bill. I once again wish to express my appreciation for the principle support expressed by the Honourable Members. I need to thank the business community for hosting and attending the various post-budget events held during the past weeks. The discussions were frank and fruitful. The conclusions were equally encouraging. From these discussions we took home that consultations and a deeper debate about the issues in our economy is the best approach to meet these challenges. We are comforted by the general support the budget and its underlying policies have received. We are convinced that with this budget we have found the right balance to sustain macro-economic and fiscal stability and sustainability. We have turned the economy back into positive growth, albeit slow growth only. We have policy measures in the pipeline to improve quality of spending and quality of economic growth. Lately, we are now in a better place than last year, we have secured our fiscal sovereignty. My Cabinet colleagues will clarify the more detailed sectoral and functional issues where necessary. With these remarks, I appeal for your support for the 2019/2020 Appropriation Bill and the 2019/2020-2021/2022 MTEF.